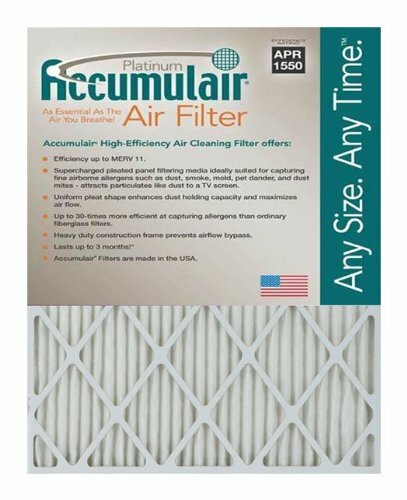 Up to 30-times more efficient at capturing allergens than ordinary fiberglass filters. Uniform pleat shape enhances dust holding capacity and maximizes air flow. Heavy duty construction frame prevents airflow bypass. MERV 11 Rating. Each filter lasts up to 3 months.